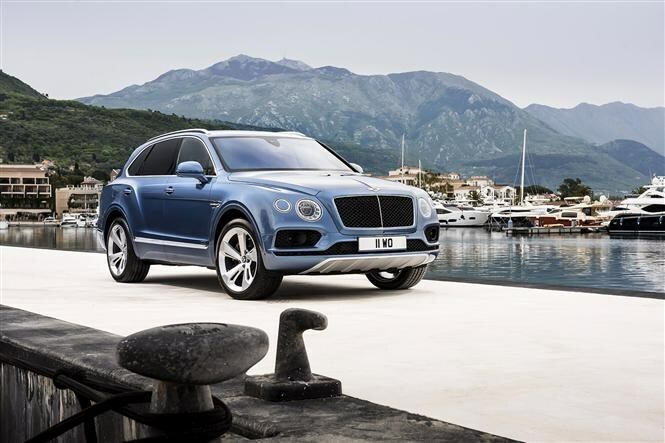 Not satisfied with having the world’s quickest SUV in the form of the W12-powered Bentayga, Bentley’s first-ever diesel is claimed to be the quickest in its class with a 168mph top speed and a 0-62mph time of 4.8 seconds. The new model is also claimed to be Bentley’s cleanest, emitting just 210g/km (compared with the petrol's 296g/km), to give the car a range approaching 620 miles between fill-ups. Such performance doesn’t come cheap; the first Bentley to bear a diesel badge will set customers back £135,800 in the UK, which is some £30,000 less than a baseline W12. 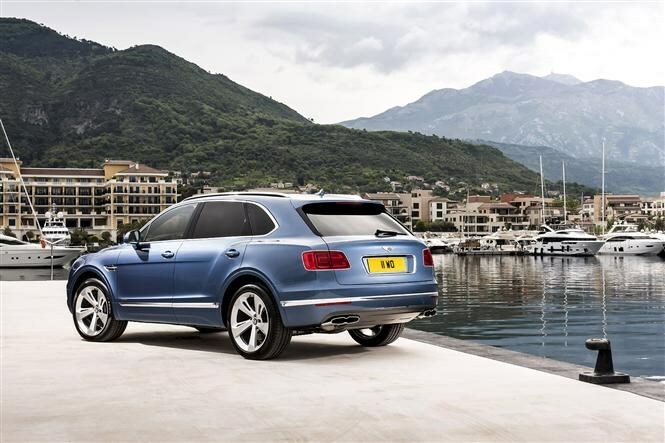 Bentayga product line director Peter Guest predicts that this variant will account for half of all Bentayga sales when it becomes available in 2017. Bentley has engineered its new diesel with Volkswagen group partner Audi, but this is not just a cynical badge engineering exercise. While the main architecture is shared with the German brand, the exhaust and inlet systems are unique to Bentley, with the engine tuned to give the Bentayga its hallmark Bentley characteristic of peak torque of 900Nm delivered at just 1,000rpm. Maximum power is a healthy 435hp. The ZF eight-speed automatic transmission has also been recalibrated to deliver off-road performance equal to the W12-engined model. With a 48-volt system already on the car for its active anti-roll bar suspension system, Bentley has also utilised this as a 7kW electric compressor (or e-compressor). 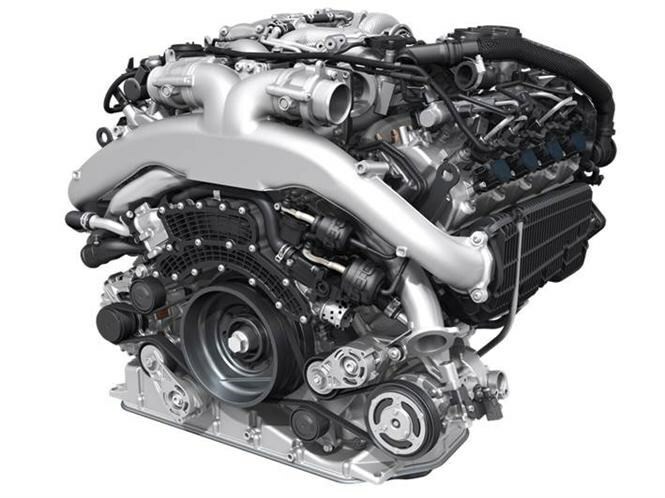 This forces air into all eight cylinders for a faster burn, right before the twin-turbochargers start boosting the engine. This improves engine response at low speed, compensating for the pause in performance while the turbochargers get up to speed. The use of complex engine management controls ensures there is seamless transfer between compressor and turbocharger. While the e-compressor is located near one of the two intercoolers, the turbos are nestled within the engine vee. This saves space under the bonnet and also increases the efficiency of the turbochargers. To ensure the Bentayga meets Euro 6 regulations, each exhaust features a NOx trap and particulate filter to clean up any unwanted diesel emssions. The five-gallon Adblue tank is sufficient for at least 7,500 miles of what Bentley describes as “normal” driving before it needs to be replenished. How do I know it’s a diesel? There’s a discreet diesel badge and the observant will notice black radiator mesh at tthe front and restyled twin quad exhaust pipe finishers at the rear. Inside there is the option of new split colour leather door trims and seat inserts, together with Bentley’s first new veneer in five years, Liquid Amber.